Hello! Welcome to MargoliesTalkTherapy. My name is Diane Margolies. I am a dedicated and passionate therapist and coach on a mission to help couples and families work through relationship struggles. My primary focus is on preserving relationships for couples in relationship distress and for parents and their children going through the divorce process. I work hard to help couples and families by identifying emotional roadblocks that keep couples and families stuck, fuel conflict and subsequently prevent optimal psychological functioning. I provide treatment for anxiety and depression related to separation, divorce and intimate relationship conflict. If you are experiencing anxiety and depression due to a crisis in your relationship learn how to get in touch with your emotions. Whether you decide to recommit and rebuild your relationship, or quit and move on from the relationship, I will be there to guide you in the healing process. Separating and divorcing spouses face enormous emotional stress. I offer Child-Centered Family Therapy for divorcing families using the Two-Home Approach to preserve parent-child relationships. My approach encourages families to become child-centered vs. self-centered to build cooperative, business-like parenting relationships which reduce a child's sense of loss. 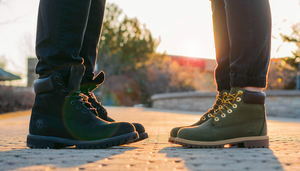 The soil of divorce is fertile to grow either lifelong parent-child relations that are close and positive or distant and bitter (Brenda Dozier, Ph.D).